We all have those games that we loved, either from the last generation or going further back. Some became popular series spanning several console cycles, while others have only seen a handful of releases. There are some, however, that were incredibly popular before inexplicably vanishing into the ether. Whether it be due to the last game not doing the numbers, or to some strange goings on within the studios involved, you have to wonder why these franchises have seemingly been shelved for good. 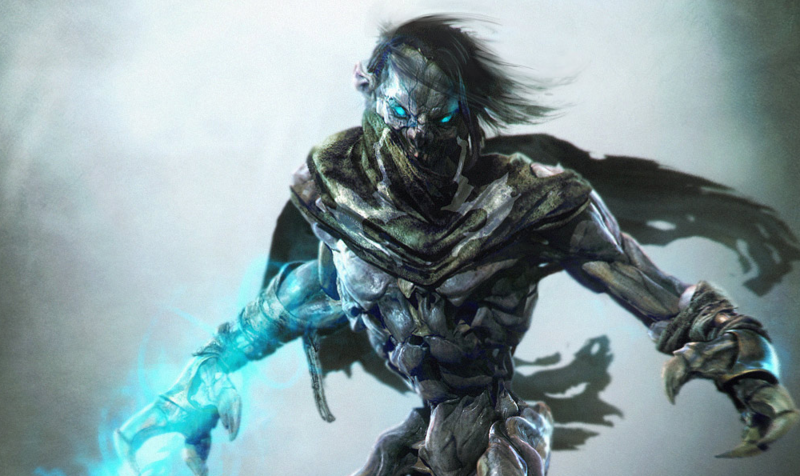 If you’ve never heard of Kain or Raziel, I both pity and envy you. Some of you might be too young, given that the last instalment in the Legacy of Kain series, Defiance, release over fourteen years ago, on PS2, Xbox and PC. It may have simply passed some of you by, but those of us that played the games will no doubt envy anyone with the ability to experience these games for the first time. Taking place in a fictional land named Nosgoth, the series actually begins with our hero’s death. As a human noble, he is stabbed to death, but offered a chance at revenge by becoming a vampire. It’s an excellently woven tale, leading to Kain’s eventual rise to power and the subsequent corruption of Nosgoth. Also leading to arguably the best games in the entire series: Soul Reaver and its sequel, in which you play as Raziel, a vampire lieutenant of Kain’s. Betrayed by his master after evolving beyond him, Raziel is resurrected by the Elder God to reave souls and eventually bring down Kain, restoring Nosgoth. That’s the theory, anyway. Although it’s true that Defiance actually ended the series, with a more-or-less closed ending, it doesn’t stop people wanting to see a new addition. Perhaps even a full remake of Blood Omen or Soul Reaver? And for those of you that haven’t played them, I urge you to either track them down on their original consoles or download them on PC (all except Blood Omen are available on both Steam and GOG). They are exquisite games. This one’s a no-brainer, surely? Aside from a few hiccups, the series has produced almost universally-loved games since its NES debut back in 1986, even helping to spawn an entire sub-genre: the Metroidvania. And this is all before you take into consideration the stunning Netflix animated series, which is undoubtedly elevating the popularity of the Castlevania name once again. I know most people loved Lords of Shadow, but I wasn’t a fan (shocker, I know). It was boring and badly paced, but did spawn the 3DS game Mirror of Fate, eventually ported to PS3, Xbox 360 and PC. That was very similar to the older side-scrolling games, which most agree peaked with 1997’s Symphony of the Night, though many will concede that games like Dawn of Sorrow and Harmony of Dissonance were just as good on the DS and GameBoy Advance respectively. 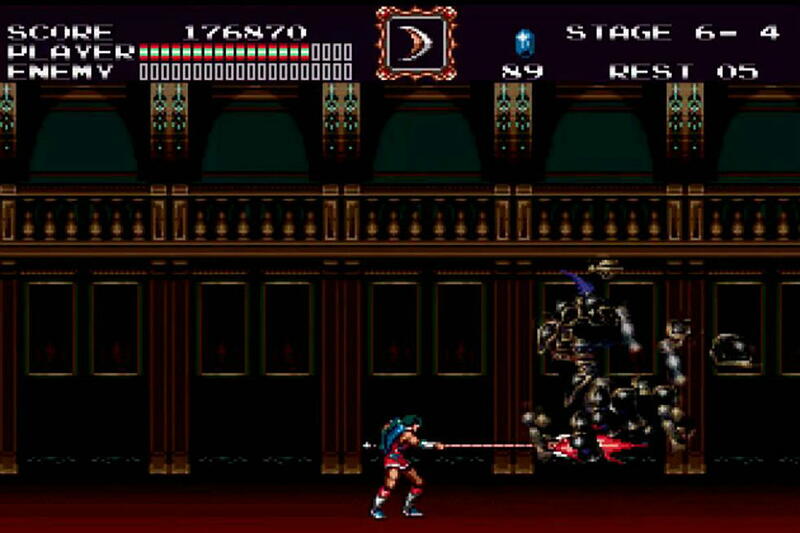 The games usually focus on Dracula and his castle, originally with one of the Belmont clan (a bloodline of vampire hunters) coming in to kill the ultimate vampire, sealing him away for the next century or so. Symphony of the night focused instead on Alucard, the son of Dracula, who refused to join his father’s crusade against humanity. I could go on about this series for a thousand words and beyond, but I’ll just say that games like Dead Cells, Salt & Sanctuary and, to some extent even Dark Souls, wouldn’t exist without Castlevania. The series deserves better than Konami, quite frankly. Another Konami franchise to be mistreated and eventually dumped, is Silent Hill. What happened to Silent Hills, we’ll never really know. Honestly, I was never a fan of PT or Kojima being involved, but the total cancellation of what seems to be an entire franchise, all over some dispute with one man? Not cool, however you look at it. 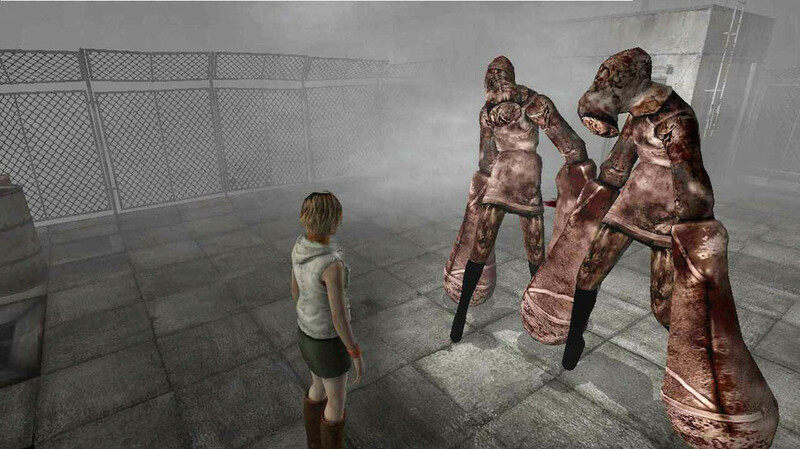 Internal politics aside, Silent Hill shouldn’t be left to rot. The first three games are still some of the finest horror titles in gaming history, with Silent Hill 2 in particular still being the best there is (despite what that rigged poll says, you bunch of savages). Whereas most horror games leaned (and still do) towards gore and jump scares, the best of Team Silent’s titles would tie you up in psychological knots, dropping you into endless nightmares. Akira Yamaoka’s soundtracks have rightly been lauded, seeing him become one of gaming’s biggest names, not just in sound design. But his use of sound was beyond exemplary in those first three titles, adding a layer of atmosphere that just hadn’t been seen or heard before in games. It’s true that the series hasn’t quite been the same since Silent Hill 4: The Room and Team Silent’s eventual split. The Room suffered from some terrible design choices and a broken save system, then Origins came along on PSP and did a decent job of replicating the atmosphere, but had a combat system that struggled. It was this struggle between atmosphere and game mechanics that would plague the series even into Downpour, the final entry before the cancellation of Silent Hills. Downpour was probably the best game since 3, but it still didn’t quite make the cut for some fans. You know what? I’d just like to see Konami go back and re-release the Silent Hill HD Collection, only this time do it properly. You know when you start a big project, only to give up part way through? That’s Half-Life in a nutshell, really. Half-Life was incredible when it first release back in 1998. 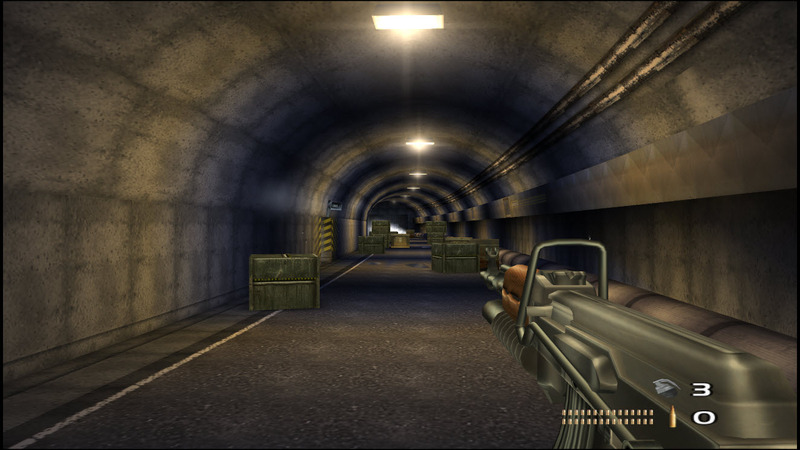 The incident at Black Mesa and the resulting alien invasion; the battle with the elite military squads that came in to clean up all evidence of wrongdoing; the groundbreaking AI and stunning visuals; everything came together to create an unprecedented level of immersion and storytelling in a first-person shooter. Fast forward to 2004 and Gordon Freeman, after saving the world in the original game, is brought out of stasis to help save the world again. The aliens have essentially taken over life as we know it, with City 17 under a sort of martial law as a resistance has been building. Again, Valve brought with it another groundbreaking game engine, and a story that would bring back beloved characters and introduce new ones that tugged at our heartstrings…only for the story to remain unfinished, even after two episodic chapters that went beyond the original tale. Valve has committed to making games again, after spending most of its time swimming in pools of money, made through the enormous success of its Steam platform. Will Half-Life 3 finally see the light of day? 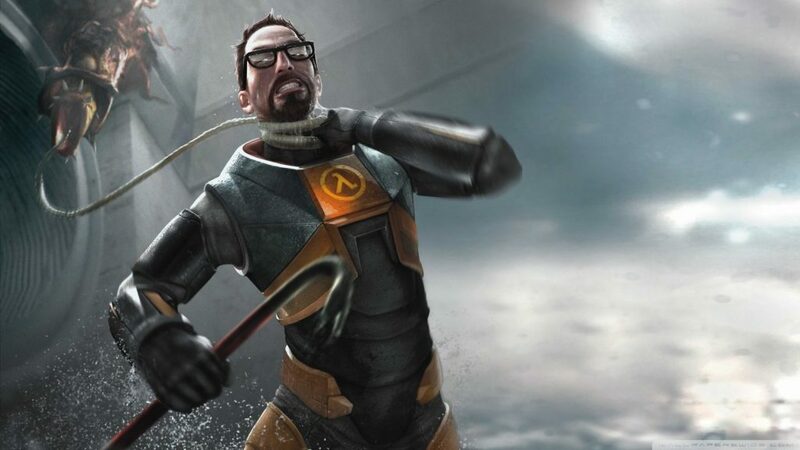 Will we finally see the end of Gordon Freeman’s story? Probably not. But we can dream, right? While we’re on the subject of Valve and its inability to deal with the number three, I’d like to quickly point out that Left 4 Dead 3 needs to happen, too. 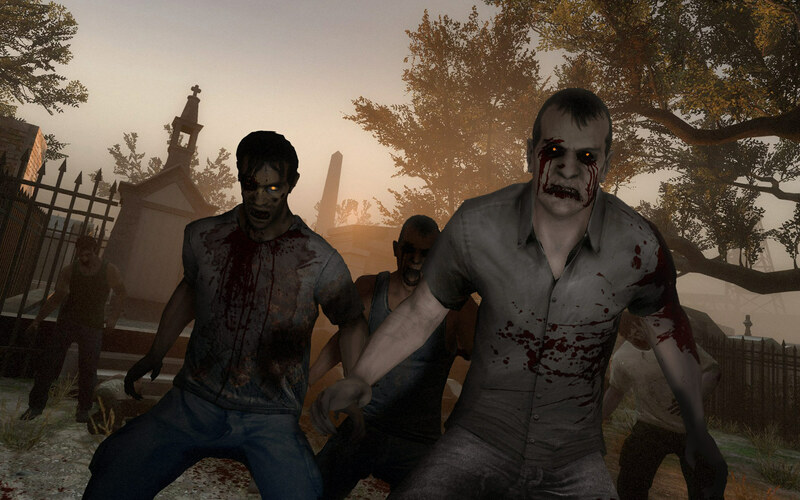 Left 4 Dead reinvented the co-op shooter, properly encouraging team play. If you ran off on your own, you would likely be caught by a Smoker or pounced upon by a Hunter, and no amount of struggling would set you free. You would die alone, lamenting your inability to play the game as intended. Or, if you’re a total douchebag, you’d blame your team even though you went off on your own and got yourself killed. Because some people are just stupid like that. I remember playing a weekly game of the original game with friends, and it would always be fun. Even when we failed spectacularly, there was something about the way the game’s Director worked that just kept things fresh with every playthrough, encouraging us to retry. The closest thing we’ve got to Left 4 Dead now, is Vermintide 2. It proves that this type of gameplay still works, and hopefully Valve will take notice. The first Dead Space was excellent. It’s one of those rare combinations of horror atmosphere and jump scares, that actually works. It took what Doom 3 started and ran with it, creating an action-horror hybrid that was a huge success for EA and deservedly thrust Visceral Games into the limelight. The best thing about Dead Space was the ingenious Necromorph enemies; creatures that were born from an alien “Marker” that turned men, women and children into monstrous entities that simply couldn’t be killed by normal methods. Movies and other games had taught us all that headshots were the best way to combat reanimated corpses, even ones that were mutated beyond recognition, but shoot a Necromorph in the face and it’ll simply keep on advancing, flailing its deadly pincers. 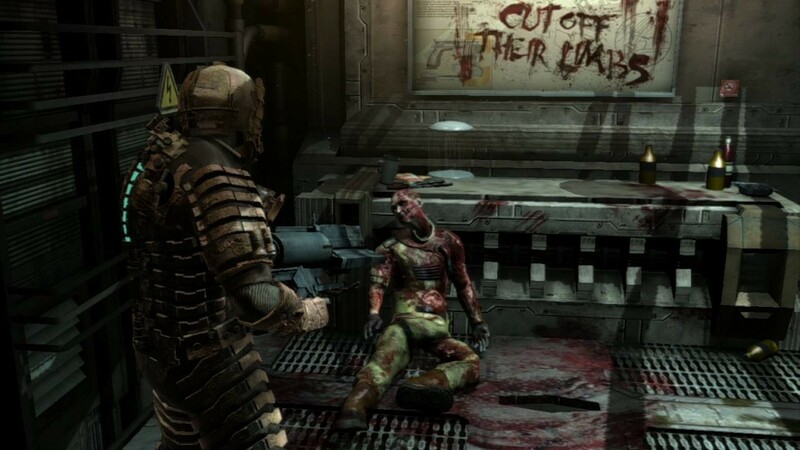 Thankfully, Isaac Clarke, the series’ protagonist, was an engineer and had access to tools that could sever limbs; the only true way to kill a Necromorph. Thing is, by the third instalment, Dead Space had lost its horror identity and basically become a Gears of War clone. After it did failed to do the numbers, EA shut down the franchise and it has remained dormant ever since. But with horror making a huge comeback during this generation, is it time for Visceral to discover a new Marker and revive the Necromorphs? Speaking of EA and reviving franchises; why is Skate still languishing in development Purgatory? Skate 3 was a huge success, even seeing a second wave of sales due to its popularity with Youtubers a few years back. When the game was introduced to Xbox One’s backwards compatibility, another sales spike came along and people began to cry out once more for a sequel. Yet EA has remained bafflingly silent on Skate. That needs to change. This one is highly unlikely, I know. With Microsoft focusing on its Forza franchises, alternating between Motorsport and Horizon, it probably leaves no room for another racer. Especially as Horizon has crammed many of PGR’s multiplayer minigames under its bonnet. 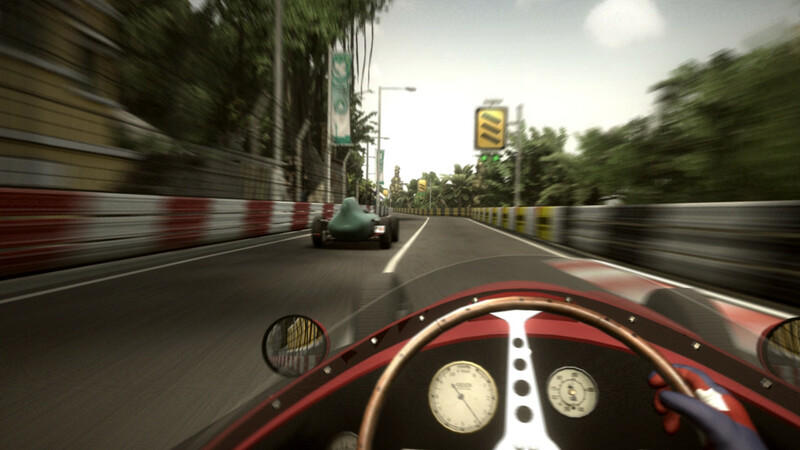 But I miss Project Gotham Racing. I played a lot of 2 back on the original Xbox, before picking up PGR3 on Xbox 360’s launch. I sank many, many hours into 3 and enjoyed every single one of those hours. Unlike Forza Horizon, the PGR series wasn’t open world. Unlike Forza Motorsport, PGR wasn’t a simulation. PGR sat somewhere in the middle; it was a street racer (although it did dabble in circuit racing) on set tracks, with a sort of “exaggerated realism” in its handling and physics, that meant that everyone could play and enjoy its particular brand of semi-arcade racing. However, with the recent failure of games like ONRUSH (which deserved so much better) and games like DriveClub never quite taking off, I fear that Project Gotham Racing might be a dead franchise. Shame, really. 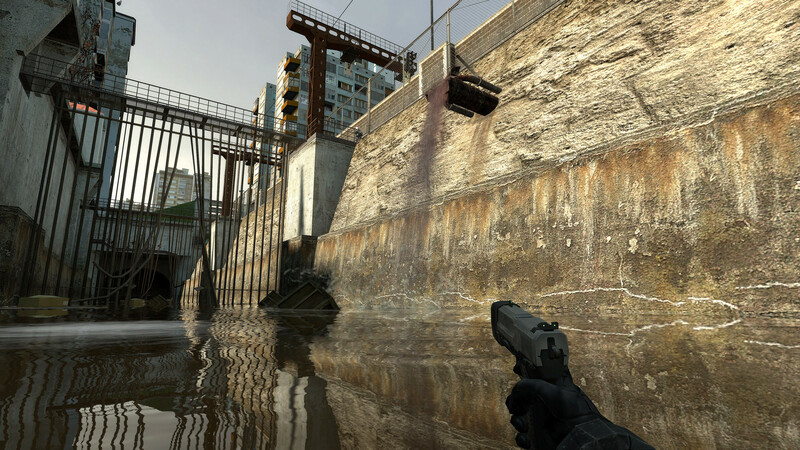 Finally, we have Free Radical Design’s excellent shooter and its sequels. Undoubtedly peaking with its second game, Timesplitters remains one of the most fun FPS games in existence. Having played it again recently, it still stands up remarkably well and its multiplayer is frantic and exhilarating; in the wake of successful twitch shooters and hero shooters, such as Rainbow Six: Siege, Call of Duty and Overwatch, Timesplitters could do extremely well in today’s market. It’s a good job Koch Media has recently bought the rights to the series, then. Right? Of course, there are many more dormant IPs out there. Some are more niche than others, while some are once-big names like Ridge Racer or SSX; but which ones would you like to see returning? Let us know!